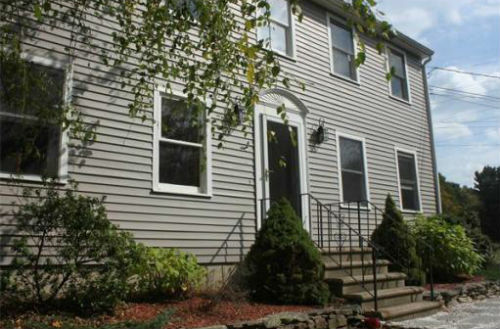 The Palmer Group » Bidding Wars Return – Norfolk Street, Holliston MA – $384,000. Bidding Wars Return – Norfolk Street, Holliston MA – $384,000. Like many brokers we were starting to see Bidding Wars Return and 630 Norfolk Street in Holliston was a perfect example. Although the house had been well maintained and some updating had been done it was on a main road with no garage. With some creative staging and marketing we were able to get well over 40 people in the home on the first open house weekend. The home sold higher than expected after tough negotiating on several offers. Seller and the Buyer both walked away completely satisfied with the transaction and we have since put our seller client into another home. WANT TO SELL YOUR HOME FOR TOP DOLLAR CONTACT US NOW. RELATED ARTICLES: Should I Fix Or Update My Massachusetts Home Prior To Selling? 14 Arden Rd. Wellesley, MA – Never Listed In MLS. BELOW IS A LIST OF ALL HOMES AVAILABLE IN HOLLISTON. LET US KNOW IF YOU HAVE ANY QUESTIONS ABOUT THESE HOMES. This entry was filed under Buyer Tips, Featured Listings, Market Trends & Reports, Recent Transactions, Seller Tips. You can follow any responses to this entry through the RSS 2.0 feed. You can leave a response, or trackback from your own site.